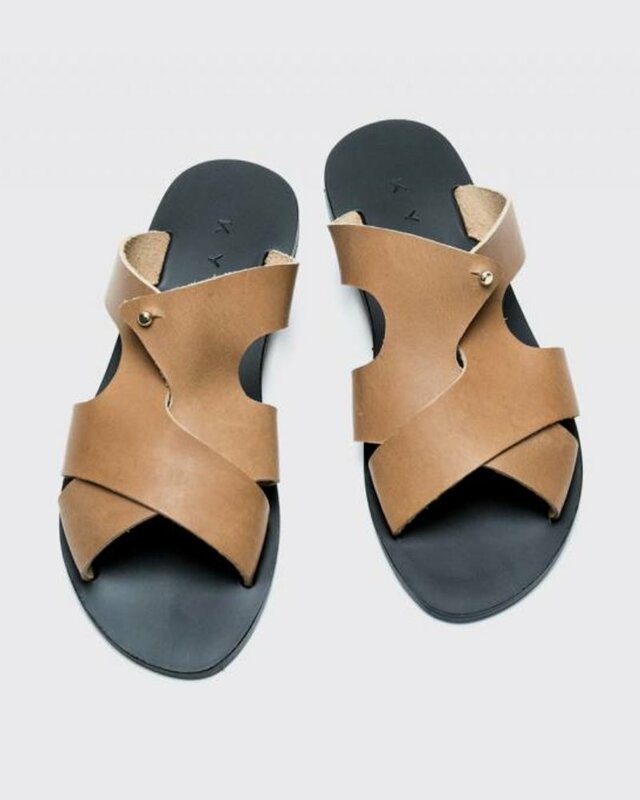 KYMA sandals are handmade in Greece by expert craftsmen using a range of fine genuine leather. 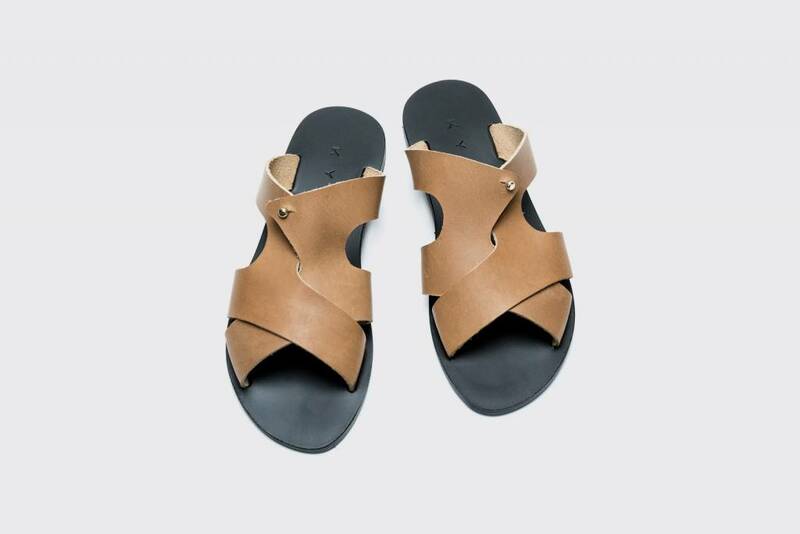 The top is made from natural vegetable-tanned Vachetta leather. This type of leather is untreated and darkens with age and sunlight creating a patina. These subtle variations in shading and texture over time add to the sandals unique identity and beauty. Sandal is slip-on and comes in a medium tan.